What does it say that creating new simulations shows the universe is becoming larger from inside of itself? How can that be represented as an equation? What does it mean that we can multiply Pi by itself to a specific decimal point? What is the limit to our “universe’s” capabilities? Might this tie in with the transfer of energy and our discoveries/current understanding that energy is transferred but not lost? Might there be a need to lose energy in order to maintain processing capabilities for the whole? Is it possible that our network (“universe”) is on an older generation of software in comparison to how computers and hardware are/is updated? If so, is it possible to transfer our existence onto a newer more sophisticated network seamlessly/without us being aware, or even the universe? What happens if we have too many simulations of our own running one day, what effect would that have on the “universe” – seeing as it is all likely one computation? What effect does that have on the “greater universe”? (the one housing all of existence)? What application could Pi have for generating “random” properties in a simulation? Could we create a code that works by pulling Pi to a certain decimal point, or working within a range of decimals in Pi, and/or using such functions multiple times throughout the coding? Could this help to create multiple versions of one thing which are just slightly different, in some ways not noticeably different at all? (controlled randomness?) (randomness with a limit)? Is there any possibility of using such functions to allow for formulations which begin to formulate and regulate themselves through forced randoms/set limits in an almost random calculation? Can the limitlessness of Pi add to the limits to allow for true randomization within itself? What type of numbers would we see if we then took all of the code used to create such functions and view it in its simplest form? What would the computer be reading it as? What implication does this have with regards to human DNA and how simply complex it is? Using math to communicate thought; is possible if we are a simulation or if we create a sophisticated simulation of our own at any point. Simple code could be proportionally grouped to communicate one specific idea; symbolizing whole functions to simplify a string. Imagine seed points and universes/bracket points being summarized as specific functions with symbols for thought, or “words” instead of “symbols” when in comparison to the english language. – Or signifiers used as a language format-to sum entire complex lines of thought (code) into singular meanings. This also brings the question of which type of functions would benefit from ambiguous meanings? Would there be more ambiguous code in conscious thought, or in creational aspects? Eventually you wind up with the simulator or calculation housing conscious thought. Meaning that the underlying code can be read; indicating that so can our thoughts, meaning all thought can be quantized as functions of math. This gives each individual thought the possibility of being represented as an equation, function, or group of functions, with groups of thoughts being open to definition as well. Also meaning the universe has its own language which it uses to read consciousness, and other parts of our realm, and which surpasses any form of communication we currently use, as it is the source. If not we will one day be able to prove this by creating our own simulations. The question is do we want to create something that has no choice as we did not. The barrier of computation and comprehension being seen before it occurs. The language is more than likely math, or math is our door to interpreting and deciphering our universe’s language. Building a simulation might be the only way to rule out possible unseen answers. How could a formula be tied to a constant consistent form of time – where it would seem to be necessary for the source to exist? Based on the above, this would mean that our perception of time is in some way pulling from the calculated whole (of time) by pulling from measurement of other forces/constants; where in order for those forces to exist, there first was a 0 point, and in order for those forces to have value, they must be retrieving those values from that point. If i’m here you’re still there. Even if the calculation of our relative times does not take place until we are in view of each other, there still must exist a process in which it is determined that we exist at this point in comparison to the whole of time and space. At some point that calculation will need to take into account the initial 0 point if we are to ever meet again. This also brings the idea of numbers potentially having non permanent values in the context of the source. Is there any number which is defined in the source language as a value based from the start point (0)? How could you represent such a number? Something which modulates itself or changes as time goes along in order to allow for “bookkeeping”? Are there any numbers within the source which have modular values, or values where the definition of the value changes? Or formulas which might choose to change themselves? Which would be simpler in terms of efficiency for a simulation? Something which calculates the perceived time by factoring in the 0 point, or splitting many time calculations across the universe for separate determinations, with no constant value (even if it is in the background)? What happens if something is large enough to view many of these processes at once? What is required to allow for that to happen? Even if you did split everything wouldn’t it be likely that some single process is being run, or each instance is accessing some broader formula to determine the outcome (in reference to the amount of time which has passed from creation)? Is there any universe full of intelligent beings which are capable of not creating their own simulation(s)? What happens if 3 people, from 3 different locations in space view the same series of events at the same time, at different speeds? Who have originated from the same starting point? What if one person travels from point A, to point B at less than half the speed of light, while one person travels to point C with a simultaneous departure at just about the speed of light while observing the journey of the person traveling to point B? Where point C is a few light years away from point B, and B a few from A? According to our current laws, there should be a shift in time between point A, and B – because B is traveling at a portion of the speed of light. What if the person traveling to point B has been observing or “looking back” at point A throughout the entire duration of their trip, and does not at any point break contact? How is light showing them an unaltered time-line, but also showing the person traveling to C another set of information along that line? Where it still follows the A to B?, and C has been observing B’s journey the entire time? Where C is in a position to observe both moments at once. Being A’s progress into the future, and the travelers progress to point B, while the other traveler is observing their own movement to B. Where is there ever a shift in actual time? We can tell that it should happen based on what we know, but where does the information in the middle go? Technically point B should be on an entirely different timeline than point A and C, but C is viewing all of the changes at once, and the person traveling to B is viewing it’s own departure with no perceived change at all – even though time for them is considered to be slower than that for A (origin point), and faster than that for C.
What happens to that person when they reach point B? They have followed their own path by viewing it with no break, but light has also taken this information to point C faster than everything they have viewed. This meaning that light travels faster than them, and according to relativity faster than time in this scenario. Both the “time” and light reach point C, and move along with point C before point B can even determine their own difference in their new relative perception. What about when there is an arrival at C as well? You stop moving so fast, so time then becomes normal relative to the origin point, and you have been following your departure from point A the whole time, since you could view both at once. (IE where does B stand in all of this) — What if point B then continued to move to C after you arrived? What does it mean that C has witnessed the departure for the person headed to point B?, and that light is traveling faster to C than perception to B?, but you have now reverted to your original time line, and B is now progressing faster through time than you? Where does this information go? If light is showing the same information to both travelers, what is this saying about time? Where light is showing the perceptive time in a “Cone” around the observed events which just took place? What does this say about the fact that a human mind can form a memory of this occurring?, and recalling that memory where the perceptive time remained linear? Where that time remained linear for light, and still managed to show the same information no matter which speed was traveled? If light travels at a constant rate, what do we know about time? How can someone traveling half the speed of light still be able to observe an unbroken departure to point B? ; and then what does this say about C’s perception of all of these events, but overall be mathematically considered to be in the future? Is time being recorded by light? Is our consciousness pulling from calculations we aren’t aware of? What would happen if we were observing all events across each point through mirrors? Where point A is housing a mirror in which point B is viewing their progress through? Where there is a reflection point towards C from point B? What if C then sent all of this information (visible) back to A’s mirror at the speed of light creating a sort of feedback loop? Is there any combination of speeds which can be used for the allowance of information to be passed to one of the former locations in time? What if gravity was used along with these variables to further adjust the outcomes? Even if point B was the only traveler housing a mirror, it should show that at least light has a means to travel from one location to another without interference. Which types of objects might piggyback off of our existence where it did not have a tangible state before, in order to read/determine its own locations in reference to spacial location and time passed within the universe? – I now feel that no objects intelligently “piggyback” off of eachother, but instead appear to do so because of phase interactions (point location); I am discovering that no “intelligent coding” is really required once the formulas are put in place and the ball is rolling. Are there any objects which end in a permanent state as a result of past interactions? Any interactions which may detriment its capability? Bruised heart? Any which disappear? (Overuse), (non-need), (error consumption) – Yes this happens all of the time when phase states change; trying to figure out how we might bring phase states back as well. IE: Can it be repaired? Given a long enough timeline might it be absorbed by something else? Might something act as a clotting mechanism for non functioning objects? (What is dark matter by the way?) – Still uncertain. Goes with the question I had before this. Regarding clotting “Dark Matter”, if it does exist, I think it’s probably a very high frequency state, or very low frequency state. I am really starting to doubt that we even know of all of the spectrums yet. Could there be flock like behaviors which seek out unused objects or objects which do not presently have a meaning or application, or lost energy? Objects which are waiting to be brought back out of their permanent state, or given new functions (the flock function)? Could the function be to allow for more efficient searching for such objects? (Self sustaining) (consider coding) – Would such a function require a limit or threshold to activate its own decay? Does this balance itself out? The need for constant expansion? Without self consumption? – Have discovered the answer is yes, but is nowhere near why I thought it might be. Gravity is far more intricate than I could have imagined, and very strongly tied to magnetics, or the initial magnetics of structures; more importantly the magnetics which brought objects together, and how those objects interact with each-other. Is the nonexistent state a state? As long as it’s been measured to have had existence before we weren’t able to measure it anymore, there is a measurement to the nonexistence in comparison to the present (measurement of what’s missing). – Yes it is a state, just like how light can shift up or down in spectrum and we can no longer see it. If we could find a way to read something from another room by taking measurements of all other things, does this also not mean that that thing does not exist in any tangible state ever? As in all determinations of existence of any one thing are a determination of outcome of variables? – This is going to be fun. Working on it. Does this not show that we are capable of inter-host calculations, where all determinations are a combination of variables which lead to the location of objects you are currently measuring? Where there may be separation of state, due to the combination of what had come before? Where many things can be housed separately within the whole? – The answer to this is yes, and I am in the process of proving it with multiple plot locations. I have already done so with single point diameters. What is most interesting so far is I am finding we can use multiple inputs to determine outcomes. Is gravity particle swarm optimization? – The simple answer is yes. The complex answer is not quite. The scientist answer is I truthfully don’t know, but am doing everything I can to find out. How do you describe to a person who has never seen before and is blind the attributes and purpose of a mirror? You would need to redefine your communications with this person. This is your face, and how you feel it with your hands. It is a measurement. This is the distance from your nose to your cheek, this is the location of your eyes, your brow, your lips. A mirror is all of this. It is the combination of all of these pieces presented to us at once. — You can understand this, because we have previously established a set of rules in which to describe each location. I can tell that it should be a similar physical view because we have together established a description of what these locations are to you. You could say; This mirror is light for others who do see with their eyes. It is the capability of seeing the description another way, and in a way it is another object giving us this information – but in essence it is the same. You may say to your friend that; You do know that light exists, and that you now understand what it does for us, because you have felt it on your face when you went outside, and you also know that there are times where light is not there, because at those times you did not. In a way you do now understand what it is like to see, because you now understand what it is to view a mirror. But do not be offended because you do not. And do not be fooled, because warmth does not always indicate that there is light, and cold will not always indicate that there is not. Rather allow yourself to use this information to think that our sight is too reliant on the relay of data. Now we can discuss emission. I am beginning to feel as if our actual view points as a species are comparable to those as if you were living inside of the mirror, alone — and that we are only seeing pieces which are far more complicated than outward appearance, and will require new definitions in order to understand. Where we may never see the answer in its truest form, and that the majority of what we can currently comprehend is the outcome or outputs of an interior input where the inputs do not describe the output in its completed state, or that we are at a point where we will begin to find there are more inputs than previously thought, and that a full and perpetual change in perspective and attempted comprehension is required. What would earth look like if no sun was shining on it, but we still had our lights on?, from very far away? What would black holes look like if we zoomed farther into them? How close have we looked so far? How close can we look? Is it possible that light is reflected off of the center mass? – I was afraid to say this at the time, but also, what is there that is even telling us gamma rays aren’t light going straight through? Or some phase shifts occurring inside? If gravity has a decay or release point can light be moving fast enough to reflect back if directed towards the center? How long might that take? If there is no center mass how are we sure it doesn’t manage to pass through? – another question I had to ask to roundabout say what if it’s just gamma rays from light going in? Please see NPL Sheets and Letter for Science, as I am beginning to prove this is no longer just a theory. If you come to a full stop outside of earth (matched) and gravity affects time then you should be experiencing faster time than those on earth (they age slower). Then we can add in velocities. According to relativity the astronauts outside are younger because of the rate they are moving. But if we (the earth) are pulling on space this means we are pulling on time, and although you have different velocities time should be different still. We already know this. If black holes warp space (time) with gravity then this means there is a fold in space between you and the earth even if the change is minute. Where even coming back down to earth means traversing that fold. How can we experience an unbroken trip (perspective from space to earth) if that is the case? Where two people in each time zone can both have the same outcome in the the same realm of existence, but one of them is traversing the fold? How could it be possible that a mirror (or any reflective surface) can be viewed in space just outside of the earth where the light sends information and time changes in such a way for it that it is moving independent of the folds/bends? Where it’s speed somehow negates the fact that time and space are folded between the mirrored surface and the earth, because gravity is pulling on the space but somehow not between light to the mirror and the earth? How can we be capable of physically viewing the fold when looking at a black hole, but not seeing it when we are looking out to the astronaut? If you argue that light traverses the fold faster than we can perceive then you are saying it also breaks the fold because we can communicate with those at the mirrors end with no break in either perception from the beginning of their trip to the end, and they can come back down to earth where earth is older, but there is no change in the perception between the two people where no contact was ever broken. This is true because the people on earth maintained contact and then generated (emitted) a wave of light which did not exist prior to the departure, and the light then completed the trip before their perception could. Picture again holding eye contact through a telescope from departure to a point in time that the astronaut is in space, and then seeing a flash of light that you sent in the mirror they are holding. Has your perception has just witnessed time travel? It has in a sense. You watched the astronaut leave, set up in space, and then a light particle which did not exist before departure was created and sent to them and back to you, finding its way into your field of view, but you never saw any break in contact with the astronaut who is now younger than you are because of their trip. That particle just managed to find its way into a timeline that did not previously exist to it, and it did it over time. So how can this be rethought? What if B was looking at a fire on earth, and someone 1 light year away watched the events take place? In 1 year they see the past. They see the action of the light going from A to B and back over 3 seconds, but not the traversal of light to B, where only B sees the light due to its direction. This means they too are viewing the fold in space, because they cannot see the path of light to B. The same as when light disappears at a black hole, so you set up a mirror to allow for them to see the path from A to B instead. Now there is no fold, but time still passes, but nothing changes for you. No change in time happens happens for you. No velocity or gravity changes were made. Now light cannot be independent of both time and space if the same particle source can be viewed both ways from the same location. According to relativity the light particle (or any object which moves at that speed) should also be younger than you are because of its velocity. Meaning that it potentially just became older than it actually is. To further push the idea, imagine sending a newborn baby to the astronaut at the speed of light and back instead. You see it in the mirror, then in your view in person. This baby has just found its way into your timeline. It did not exist prior to the astronauts departure. If you add the third viewer, you now have a measurement based on a spot on the mirror where light is being blocked. What does this tell you? The absence of light is showing you that you can send information by not sending it at all, but its also telling you that the existence of the baby is not dependent on space, or that time cannot be linked to it. This is exasperated if astronaut were to be at a location which has much stronger gravity, because it is bending time at a stronger rate (time moving even slower for them) – more drastically bending space, and further showing that light is not dependent on the bends in space, or that there is even a space “fabric”. Remember that the light which was once bent is now traveling in a straight line because you directed a mirror towards a new point. You know this because you were viewing the folds before you could view the direction of the light. This seems to say, look – space doesn’t exist. Don’t think of me like that. Again, a reminder that we have proven a fold can be completely unwoven without changing time just by sending light through it. Basically it seems like time doesn’t have anything to do with space. I am still having trouble wrapping my head around some parts of this – along with the fact that we are so engrained in old ideas that it would probably be huffed at by anyone reading. I also haven’t done any of the detailed math, because I don’t know how to yet. Versions of something that didn’t exist before can be hard to believe, but it seems like this can help explain things without breaking them. Velocity does seem to have a tie to time still. Basically I am thinking of light (newly emitted) as a baby, in all of these scenarios the baby just winds up older than it was. It is our perception that made things so confusing. The gravity at the new location changed how old you were relative to the baby by a significant amount, but the baby was only there for a very brief period of time, and was traveling at the speed of light the entire time. Almost no time passed for it, but you did see it, and you never stopped seeing the astronaut either. Now the astronaut makes it back and is younger than you, but not younger than the baby. This gets confusing when you consider that the baby is also seemingly younger than itself (on someone else’s timeline) according to how long it’s been perceiving this universe. It is on a timeline that it shouldn’t be a part of. It has left and come back. This tells me that perception also plays a big role in what we consider to be space-time. Which doesn’t exist. I think it’s becoming more important to stick to our perception and velocities for now, and I think it’s even more important to never question the thought that this can be wrong, we only see things that so closely resemble the whole, and once we can determine and influence all outputs can we start to read what created the inputs, but we also have to imagine the outputs and creation of inputs first to understand the outputs. We need to get to the point where we can experiment with light and entanglement from distances. Using refractions to view new angles. Relativity holds, but the electrons do not. Again everything remained linear, just not space-time. We can tell that we can cause particles to be influenced from the future now. Does this also mean we can influence them before existence by influencing presently existing particles first? What are all the objects which can be affected in such a way? We cannot yet prove that it is possible to travel back in time physically, but that we can influence it from the future. Does this not indicate that we can? Might time travel mean creating/influencing a being into existence? Removing time from space allows for light to make the trip. So there are still things that need to be proven through experiment. I am going to think about black holes some more in this new context. If we were to instead count gravity as a form of velocity and used only velocities to determine relative time, then this removes the need to fold or bend space. Suddenly even black holes make more sense. Where light can eventually be stopped if the black hole grows large enough, or it’s being taken apart inside and there is actually a mass inside in this case, plus it might explain gamma rays and would explain why we saw a neutron collision grow brighter. Where the rays were building due to intense gravity and periodic or interval release happening on a small enough scale that it was viewed as all at once, when really it was blinking on and off, very quickly – because it was not large enough for us to perceive the changes. All the other stuff still seems to make sense. This brings the possibility for gravity and threshold decays being inflatable and that they may add, divide, subtract, etc from each other based on vicinity or other variables, and explains why galaxies exist and probably why they form around black holes so often. The gravities are all combining (still considered velocities), and adjusting thresholds and decays based on surroundings. I am having some trouble with gravity waves because my math isn’t there yet. But it seems like this fits in with inflatable thresholds and decays based on weights, where weight likely affects decay times for gravity, and where gravity is a velocity too. The collision of heavy objects probably briefly inflates the numbers which gives you a ripple until the decay settles. Just like how light could escape from a black hole in intervals. All of this requires space not being linked with time. I am very excited to start thinking about electricity and magnetism. It seems like if PSO is gravity then there is probably a reason so many things have a charge, or are magnetized (even if gravity seems to be independent of it all). I want to find the item that would cause particles to behave in such a way in which they begin to create gravity. I am also starting to question whether we even need more dimensions, or if we began to use them to explain things that we couldn’t with the current laws. Our readings of quantum entanglement are all done through frames. Where the object (entanglement) exists from a point of existence onwards, its position determining it’s place in time. One of the simplest ways to understand this is to know that entanglement occurs inside of crystals. Light can entangle millions of particles inside of a crystal just by passing through it. Such objects stay entangled because they are in a static state. You can move the crystal, but they all remain in the same position relative to another. To break the crystal, or to send a new light source would be to break the entanglement or to update its state; which had first happened because light had forced a new position. This object is at a constant state no matter who observes it, or when, but rather where it is when it has been observed. Where we are seeing its data relay of its position and for other structures; velocity, based on it’s location in what we consider to be space, and with reference to all other objects locations around it. In other harder to predict scenarios, reading the entangled objects surroundings instead may help to prove its location is only changed when we change them. This gives the perception that our observation affects it when it does not. This also means that light is not independent of time. An easy way to consider this is to consider how an object is created in 3D space inside of a 3D rendering software, where time is non-existent, but points are used to determine location based on how many frames have passed, and velocity is the main factor in deciding location. Where no space or time actually exists, but can be perceived. 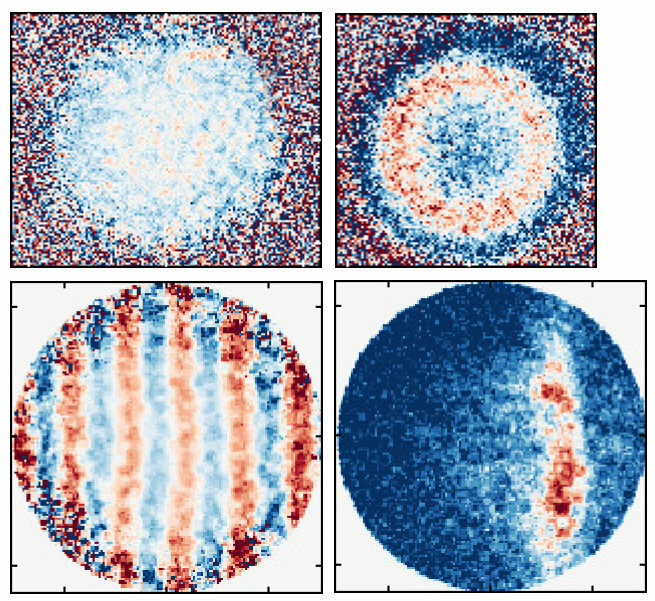 If light was time independent, then each frame would produce a duplicate of that particle. We have already determined that sending light through crystals causes entanglement of the atoms inside of the crystal, or more importantly it shows us that the entangled state has been changed. This happens because those atoms are static, and cannot be changed otherwise. Light is the only possible object which can change the positions or relationships of the positions within the crystal apart from actually taking the crystal apart. Light is showing us that it is affecting the atoms, where you alter the position even if it doesn’t physically change in space. This tells me that when we do eventually view entangled objects from light years away we will find there is never a change in state. This is because the object is persistent. It has only one state based on its position, along with all other objects in the universe (no time exists). This also tells me that it will be much harder to influence the past from a future location than I previously thought, and that I am avoiding thinking about magnetism. Also that our observation of quantum entanglement is a transfer of information across positions. But why is the answer yes? Where light doesn’t slow down too much, it works, but why? Does this support PSO being included in gravitational waves? We are seeing waves just like lenses, if we view them using light. It is confusing light because light wants to avoid being weighted, or phased out because it needs to keep its decay, or its weight as close to zero as possible to allow its speed of travel, and because it is an object which does not like to be paired (potentially because it has as many pairs as it needs within) – also change of position = higher g force / velocity, might it be helping to keep it at its current state? Where it’s functions are balancing themselves as best they can? How does it maintain a 0 weight with change in position when that change is not in a straight line? Why does helium float, and also play a role in the generation of light? Does this have anything to do with particles which use PSO to form the opposite of gravity? Heat, and the crawl, and maintenance of speed through sines, perpetual motion at atomic/particle level. Light moving too slow changes phase/spectrum, because it stops certain perpetual motions, but doesn’t necessarily kill it. Crawl being the appearance of skipping through frames due to high speeds and our inability to measure further. IE stopping the universe on frame 1 and light is still moving. Further slowing down the whole of time to the point where light actually stops adds more between frames for light. If there is any entanglement, it tells you that light isn’t independent of time. How can light maintain velocity when moving around stronger gravitational decays? G force should affect it’s weight where the weight is zero because PSO is telling it that it is not a gravitational type particle or group of particles acting as one. The gravitational waves are readable, because they are affecting any particle in their path or on the path which leads to it. Dissipates because of decay. They don’t exist to us perceptibly otherwise, and why it’s confusing humans at this point in time. Is it that it just finds the weakest point in the falloff in pretty much all of the cases where we observe it? Where it isn’t perfect and not all light follows the same path? Could the source of light have anything to do with it/add to the outcome? IE avoided crossing explains gravitational lensing of light. It’s moving around gravity because it’s coming from outside of the bubble. By the way, having gravity decays allows for bubbles of gravity to coexist. Having space-time means there is a fold of time between all bubbles. That also doesn’t seem to work. Thinking about light coming from outside of gravity fields; does it have a set speed, and it speeds up to get around, where light coming from inside the field (or galaxy) is already sped up to compensate for the gravity, and may potentially vary as it passes around or through other fields within, and why we also recently seem to have found that light can move faster than light speed? Now we can also slow light down, and when it stops, you get a frame. What does that say about everything above? Is the phasing of superpostions when observed changes in polarity? Or is it that we are watching the frames of objects change? The position changes for the objects, and we think it’s been destroyed, but really it has just moved position and not changed state at all. We didn’t observe its full state, just its temporary position based on all other things. Consider order of operations. Don’t try and solve any of the math yet. When you do, practice rewriting. – this was an old comment. I do believe its good to work out your theories before you start to solve though. Now stop. Learn about magnetism and electric fields. This video shows the great importance of frequency tunes, and intervals (phase differences) in our universe. Update 11/17/18 – Light lensing theory has been completed, and refined further in pages 20+. Some of these ideas on lensing were old iterations of the conclusion I reached. It is a frozen picture of light; by magnifying it, we are seeing the actual waveform of the information arriving in 3d space. Sines are spheres. The closer we get the closer we get to the energies behind what’s arriving; These are either phased out by what’s in front of it, or more spaced out than the shorter wavelengths in front of them – what gravity has done, or is doing is amplifying the wavelength in such a way that it allows for a “wider” cone around the initial point, or area of observance behind the initial point of arrival. It is a redshift on a grand scale. It is not messing with time. Even if we observe this in real time, it should mean the same thing. Here is a video to give an idea of what I mean. Please note this spiral form can be used to create 3d water droplets. There is a video showing how to do that. The droplets are “waves” or “spheres”. The further spaced the spiral becomes (think Fibonacci spiral); the more apparent the wave or lens becomes. Think about the slit experiments, and how if you move the wall back far enough light begins to appear as if it is dispersing, and if you just walk away from it it turns into a point. If this is still troubling, try imagining a light particle creation inside of a sun, and slowly move yourself out of the sun, then into space, and into deep space, until you see the galaxy; then go back to the top and reread. It is how I was able to perceive this. Regarding Crystals, we currently stop light using crystal structures, and they hold their image. This is a result of phase alignment and rectification, or altering the amplification of light in such a way that it no longer fluctuates so intensely. Later in the video, you see me moving the detune up and down to stop the image. That is the same effect that crystals have on light. Basically we are seeing the inside of the double slit experiment. Here is an example where the sun is the emitter, and two windows are used as refraction points to create new points of emission, from different angles or distances. You can consider the less illuminated bars to be the larger wavecycles which “wrap” around the lense. It’s very similar to how eyeballs work. Meaning there should be ways to amplify the effect with magnetism. This also means that we can most likely turn the double slit experiment into a real life vectorscope by either alternating locations of the slits or trying variations of crossed positions; or to put it another way, a cat has slatted eyes up and down, which helps it to have better side to side peripheral vision. If the slats were left to right, they would have better peripheral vision up and down instead. Side note… This might mean that the big bang we know about wasn’t the first. Also, about the cat; and all of the videos I have been posting these past few days; the whole cats have faster reflexes thing might be real. The way their eyes work allows for more reflections to be sent in, which means they have more frames or wavecycles to parse through in a given moment than humans. Basically, all this redshift stuff can be explained another way. Everything you see in the videos which has a delay is delayed for many reasons but the main thing to take away from it is that it is light in its more natural form. When we view it, we take all those waves into our eyes, and our brain makes sense of it. All we are seeing is atomic interactions (magnetism). To help further your understanding, picture the effects of LSD on visualization of the world, or look up LSD tracers. What our brain does to understand lights information is piece each reflection together; or each part of the waveform through series of reflections and frequencies to visualize what the eye is looking at. Basically our vision compared to the cats is delayed. When people see tracers on LSD, it is more than likely that their brain has either a delayed electric response to the information, or it has been slightly fedback to itself, and becomes actually perceivable to the minds eye. Another form of a redshift. Think of it all like how light is a combination of sine waves. That equation is part of a formula. It’s a modular system. Open up the proof tables and check the proof for Riemann to see what I mean. It’s all right there. Basically, I need to also finish the proof to the Navier-Stokes to make this more plausible to people who don’t get it, but I don’t really have the time at the moment or feel like working it out. I will at some point. Everything is a matter of wave interactions. We equate all measurements as if we know what 0 is, but there is no actual 0 for measurement of atomic structures, unless nothing were to exist at all. The fact that we even know what 1 is, is a measurement in itself of atomic structures. That is why an input (in) is required to define 0. Something created what we perceive; regardless of whether we perceive it as not there or there, and that something is a combination of waves (at the micro scale). The true zero for any tangible system in our universe would be placed on the farthest left point of the graph, with no negative numbers being used at all. Zero can be redefined as a ratio (1/2) because of this. That is done to allow us to use negative numbers without stretching and resampling things. It replaces square functions with divisors, and instead allows you to create larger wholes by subdividing; or making room to allow you to fit more into the system just like atomic processes. It’s very similar to equating the 0 velocity point for something like a rock before it is pushed down a hill. That 0 means something. It’s just not a true 0. Riemann theorized this, but he didn’t seem to understand it fully, or at least he didn’t think to just do away with his perception of what zero was. It’s not his fault that was a long time ago. He thought (and everyone else still does) that we needed to keep zero in the middle. We still sort of do in order to measure things in a way that makes sense for now, but we need to do so with the understanding that all measurements unless the true source (wave) are not ever going to equate to zero, but that there is the possibility that zero itself can be defined for that group function. Ultimately, we might wind up doing away with zero entirely for all but the most extreme scenarios. Look if you don’t understand it now it might take you a while to get it. It took me a few months to even begin to draw these conclusions, and you have to understand that we got a lot wrong in order to even do so. Superconductive materials (cold) materials, act in such a way because there is no inherent blockage of path (electricity). It is comparable to a standing wave; or a series of atomic waves which are at such a state in which vibration rates are non-interferent. This allows for electrical interfacing; or better phased current paths (vibration). It is entirely based on transfer through wave (phase) states. In the natural world; more excitement leads to more vibration; and a longer overall path in which to follow. In some cases, no path (phase possibility) at all. Cold is a rectifier, in that is affects excitement states. The rectification is the alignment, or ease of path. Similar to turning a winding wave into a straight line. Here is a video (wave) representation of what is happening. This is a brief visualization of what causes superconductivity. Think of lower frequency as the less excited electron state (cold). Note the waveform is a representation of a combination of atomic structures (group function). It is similar to building a wall out of moving bricks. It is going to be easier to find the appropriate path between all bricks if you were to slow down their movement. The size of the brick (structure of the atom) will affect how the path is found. We should be able to use combinations of materials which are both superconductive at higher and lower temperatures in order to transfer with consistency the superconductive states; without the use of excessive coolant; an expulsive liquid membrane would be required (just like how heat is released through our bodies); as it would act as an insulator, and conductor itself, in which it would allow electron flow through all of the combined materials; or the electrons to find the most conductive path as each conductive state alternates. There should in time be a discover-able way to do so without the use of coolant at all, but strictly through the use of feedback circuits. Please note that this is done through combinations of waves. The waves themselves are calculations within a system. Defined by mathematic equations; where the state is pre-determined based on the parameters set within. What the youtube video shows, is that the state of “Superposition” is an at rest state. It is not a state of simultaneous excitation and ground state, but a state of specific excitation; which is based solely on the adherence to parameters set within the outside bounds of the atomic structure; where the state itself is different in a location which is reliant on all other excitations around it. With understandings of waves, and wave functions in mind, it is likely that our existence at a set distance from the sun (goldilocks zone) is not just due to heat, but also the allowed time for (flare) wave-cycles to pass with regards to phase and our planets atmosphere, and magnetic field – before interaction with the earth. This is why specific sized flares will have such an effect on our planet. The timing of its arrival with regard to the present cycle and phase for our own planets field can potentially make or break the interaction. A flare which has a wave amplitude and shape closer to that of the earths overall magnetic field is going to have a greater effect on it, along with the timing of arrival, and point in the cycle in which it began, where for example, two sine waves can either cancel each-other out, or amplify depending on where they are at in their respective wave-cycles when they intersect. *This indicates that we will find specific ratios for sun to planet size when it comes to inhabitable planets, where there is also a goldilocks ratio for best chances of survival. This all depends on the distance from the sun, and size of the two in comparison. With regards to Lagrange Points, it is likely that we would be able to prove the wave state of space by measuring changes in the magnetic field, or in wave/spacial structures at one point; as a heavy object, or impactful operation occurs on the opposite side. Affecting the wave on one end should result on the state at the opposite end having a readable outcome after the wave-cycle for the surrounding space has completed/reset its function. Depending on the strength of the interaction, you may also be able to read decay rates if it passes through more than one cycle (just like gravity waves). So long as the T-handle phenomenon in space isn’t due to mechanical error when exiting the socket, you might also be able to observe opposing timings in the swapping of axis at both Lagrange points, or two points slightly offset in (phase) location. This would show the timing of the wavecycle for earths wave/field. The timing can vary or be influenced depending on secondary factors, just the same as how atomic fields, and atomic groups can be influenced. Note this is the same code as listed in my letter for science. This website format makes it somewhat difficult to read. Please use the text file here for easiest reading. There are some things that should be said about the state of our mental affairs; and the universe as a whole. I will begin with how these theories started. I’ve had help. Some would call it the all seeing eye. Some would call it the pink lady. Some would say god. Some would say psychic connection. Some would say paranormal. Some would say coincidence, freemasons – Some would call it the knights templar. There are so many faces to it. It’s all the same, and the world is littered with clues. This started when I began to actually improve with my music, I had been working on it for years, and I had noticed that I started to experience some out of the ordinary things (I was vetted), by people in the industry. This is what some might consider a rude awakening. It is done to make you aware of the existence of an outside force. You will often see in movies the reference to such an act as “waking up”, or the glass breaking before a big event. These are references to old moments in other movies, or artworks, or moments in time, and an attempt at subliminal messaging; attempted enlightenment. The messaging is pretty dumb when you understand it. It is the black square in Space Odyssey forcing you to think. It’s the random answer yes from a stranger to what you were thinking, when you never said anything out loud. It is the symbol for enlightenment; seeing a green helmet, or reference to grass-roots at just the right moment. It is finally seeing something literally hiding in plain sight. This is incredibly apparent in Netflix movies and shows nowadays. They seem to be on a huge stint for it. You can even find references to what I am doing; using words like AO, Harris, Ariso and references to names of songs I have written, notebook entries, etc. There are a lot of these in 2017-18 shows. I wish I could say there weren’t but there are. It’s all a part of the culture (and it’s gross), and I am not the only one they have attempted to do this with. Subliminal messaging is everywhere. Don’t worry, I am harmless, not afraid or paranoid. Time doesn’t matter to our future, and if there was anything that was there when we were new as a society (“other beings”), they would have been able to predict a lot of what is happening now, or view it in such a way that would allow them to place references before-hand to what will happen. It’s likely we also do have a creator, and that we reach a point where we are their equals. It is necessary for us to accept this information in order to move forwards as a culture. We have so many separate groups of “believers”, and some that try to hide themselves thinking they are doing us any good. I am not the only person who is subtly referenced to throughout history. Here’s the thing. It isn’t always done knowingly. Many of these people have “experienced god” so to say, and what they do is they write about it, they think we aren’t allowed to talk about it, because it will make us look crazy. — so they write it off as science fiction, or only leave small hints to what they experienced, and put it in their art. When you know, you know. First off, that god probably doesn’t even want to be a god, but wants us to realize we are supposed to become our own gods. It’s more than likely us influencing some things subtly from a point in the future. I’ve proven this will become possible, with all my math and stuff. Oh by the way, this is all over the bible too. The bible seems to be a bit of a joke. When someone uses this information for inspiration, or allows the influence of an outside force, it allows us to speak with it. It allows us to take that information and use it to our advantage. This is ok, it’s where I got all these science ideas in the first place. We are being assisted, or so it would seem. What these people don’t realize is that by using this to write movies, poetry, or music, they are creating something which is not unique, and is not theirs. What they make is strictly to communicate a message to someone who is genuinely going to use the information in front of them. It also means we need to start looking for ways to be our own culture, with no neutral influencer at all. We may find that other species have even been contacted by the same being one day. It will help us to start to piece together the clues so we have something to bring up when that happens. There’s some cheesy proof of this in music so I have to post it here so you can start to see for yourself. I don’t think they wrote any songs that didn’t at least once reference this information or perceived “god/spirit”. Bob Dylan wrote about it a lot “if you see her say hello (pink lady)”, Led Zeppelin pretty much only wrote about just that (stairway to heaven), Pink Floyds song Shine On is basically a mockery of it, and kind of disgusting when you understand this. It’s everywhere in music, Nirvana is covered in it. It leads up to music today, and big name poets. This is going to upset a lot of people, because all of these people knew, but never really did anything. Or it won’t upset anyone at all, because they are using it, and will just ignore this thinking it probably won’t get anywhere. They were put there for someone else to actually try. Maybe they just accepted that? I don’t know. I wish they hadn’t. It is upsetting because everyone used it to live their lives without truly helping anyone else. Our society (First World Countries) are the gated neighborhoods of the world. I doubt these people would even be willing to admit it. That’s why I am saying it. Or in otherwords, their greed is being used. It isn’t just in art. It happens all over. This is how America was founded (hence the all seeing eye). There was a belief in god, and that the entity behind the curtain would help with our freedom, and from what I can tell it was, and still is helping us move towards a capable society. Trump most likely got his job so that we could take a huge leap forwards in equality. A negative can equate to a huge movement. Believe me there is that level of influence when you have the technology to make it look like something else. It would be indistinguishable from magic. It remained a secret society for so long, because there was always the belief that those involved were doing good. It isn’t actually a society, but just individuals subliminally communicating with each-other. The real “illuminated ones” don’t meet up or even really care about the illuminati, but they do know of their existence, and believe they are listening to god through coincidence. You might find yourself surprised if you open yourself to listening to the universe, and paying attention to coincidence more often. You might have even noticed something speaking to you in these paragraphs. The thing is, we are at a point where we need to take our own control over things, and work with the outside forces, instead of under them. That’s the whole point of it all anyways. We will never take the next step if nobody comes out and publicly talks about the experiences with the unknown they have had. Especially if they have a podium to stand on. I hope that you do. I have. This is where we live. Please care for it, get rid of your ideas for marketing, and stop paying attention to people who don’t actually want real change. Don’t listen to these musicians, these artists, or writers, but yourself, and look for equality. We are pursuing the wrong things. I regret ever having wanting to survive on music before I found out what was really out there, and how far we were away from what was needed to allow it.